With OnePlus’ Product Manager Challenge having come and gone, it’s time to look at what the future of the company’s very own Android variant will look like. While the competition was about submitting features or changes you want to see in OxygenOS, Léandro Tijink submitted an entire website that shows OxygenOS with an entirely new UI and an improved UX. 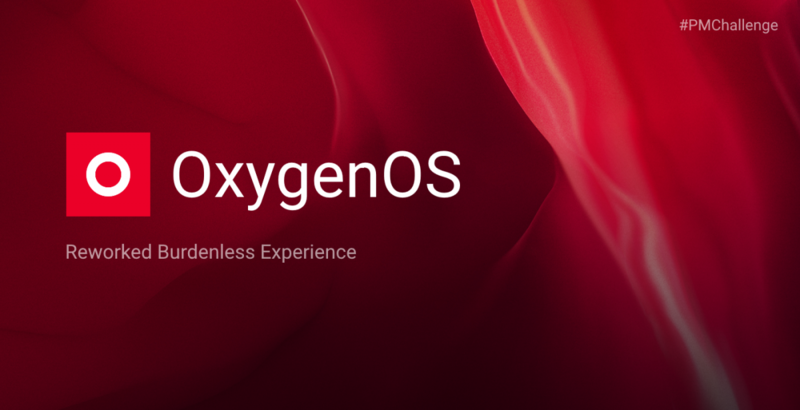 As part of the prize for the challenge, OnePlus pledged to implement the chosen features or changes into a future version of OxygenOS, so you’ll actually get to see some of this new re-design in a future OnePlus smartphone, which Léandro Tijink also gets as part of the prize. From the setup menu to system apps, it’s pretty much an entire system-wide re-design in order to enhance the user experience and make OxygenOS look even better. At the moment, OxygenOS’ setup menu is pretty much just stock Android’s with some tweaks for device-specific features such as face unlock. It’s not bad, but it can be improved, which is what Tijink first focused on. Device setup has been reworked to be more welcoming, offer more languages at a glance, and to have a nicer layout. There’s a blue header which has the title of what you’re currently configuring and the description is below it. Also included is the ability to set the system-accent colors right away from setup to personalize your smartphone experience from the very beginning. The entire setup process, in Tijink’s view, aims to look good while also being functional, something that any phone manufacturer can benefit from. The ambient display on OnePlus smartphones is nice to have, but it’s not perfect. Tijink has made a few small changes to it in order to make it even better. Lifting your phone will show the time, date, and notifications while tapping the display will show the information associated with each notification. Your device will also briefly wake up to show you a new notification and its content, though won’t show you anything else such as the time or date. It’s not a huge amount of change, but it’s consistent with the rest of the design changes all the same. A redesigned system needs a redesigned lock screen, right? Tijink has designed a brand new lock screen which fits the design language of the system. Lots of rounded edges, though the layout is more or less the same as before. The OnePlus Shelf is a part of the default launcher on the company’s smartphones and is where you would expect the Google Now Feed to be on others. It features a note-taking section, widgets, recent applications, and more. Tijink has reimagined it to be a whole lot more efficient while looking even better than it does at the moment. There’s an AMOLED black mode, a more standard dark mode, and a light mode, which is enabled by default. Many other aspects of the launcher have been redesigned as well, including the recents menu which, as of Android Pie, is now controlled by the currently enabled Launcher. It’s not a huge amount different in the concept art, but it’s made consistent with the rest of the system. The same goes for the app drawer and the hidden space drawer used for hiding applications. OnePlus has a big number of first-party applications pre-installed on your smartphone, and most are essential. An SMS app is a mainstay of any smartphone, while a note taking application is a must for most people. On top of that, a gallery application is generally a requirement, and everyone needs a calculator once in a while. Following on from that is the OnePlus Community application to get involved on the OnePlus forums, along with the OnePlus Switch app that can be used to migrate all of your data from your old smartphone to your new one. These applications have all been redesigned by Tijink to fit the style demonstrated throughout the rest of the system. So now that you’ve seen screenshots from Tijink’s vision for the future of OxygenOS, when can we expect to see these changes implemented? As per the terms of the competition, OnePlus did say that the winner would win the device that they helped to build, so while it’s implied that could be the OnePlus 7, it’s not entirely guaranteed. Either way, a massive UI overhaul such as the one above would be a great change to distinguish OxygenOS from the competition, but we don’t know how much of it will find its way into the OS. It’s assumed that older smartphones from the company will eventually be updated as well, that is if they’re within the two-year window of receiving updates. The UI overhaul created by Léandro Tijink looks amazing, and we’re looking forward to seeing what OnePlus takes from it.